Icon Fitness has beefed up the NordicTrack AudioStrider 800 elliptical trainer and several of its sibling models over the past two years. They’ve done so in order to keep pace with the quality and features in machines offered by competitors, and consumers are reaping the benefits of these upgrades. If you’ve done any research on this model among NordicTrack elliptical reviews, you’ll find it has very few negative opinions written about it. UPDATE: The AudioStrider 800 has been discontinued and replaced with all new, upgraded models. 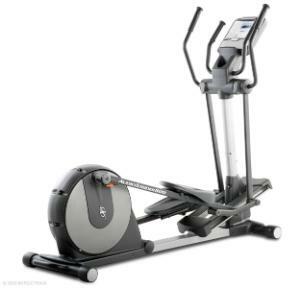 Check out the latest NordicTrack elliptical reviews here. 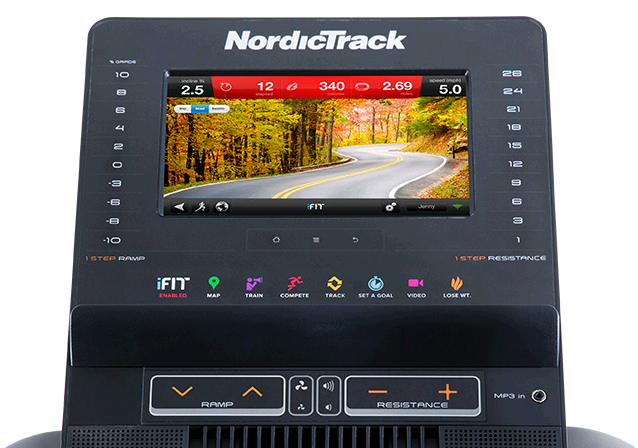 Experts have keyed in on the upgrades and improvements in overall quality of the NordicTrack AudioStrider 800 elliptical. While it may seem unfair to compare this low cost, budget machine to expensive club models, trainers can’t help but remark that the stability, features, and overall quality of the machine makes for a very attractive package. This is such a hot item that it’s one of the company’s best selling models. Consumers like that the 800 model is easy to assemble out of the box, it’s quiet, has lots of great features, and feels very sturdy. The most impressive kudos you’ll learn about the NordicTrack AudioStrider 800 from consumer elliptical reviews is that people are praising their machines after 6 months to 2 years of constant use -- and not the frequent and unhelpful “I’ve had it now two weeks with no problems” type of feedback. At $799, the NordicTrack AudioStrider 800 is a delight. It holds up well for a heavier user, it’s remarkably noiseless, offers stability and a great elliptical stride. The warranty is weak on NordicTrack machines, which is typical, but you can buy some security with an extended warranty, or live dangerously and go without, saving yourself a ton of money. At this price, the NordicTrack AudioStrider 800 elliptical is a very good value.